For many centuries, Piazza della Signoria has been the centre of Florence political power. 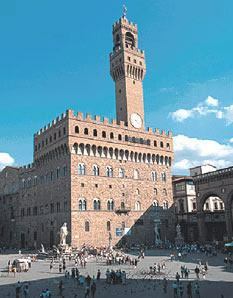 Palazzo Vecchio is still today the city`s town hall and the square houses a copy of Michelangelo`s David, the symbol of the Florentine Republic, together with a copy of the Lion, referred to as "Marzocco", Florence emblem, and Judith and Holofernes - both by Donatello - and Hercules and Cacus. In the square, the Fountain of Neptune and the Loggia dei Lanzi are also to be admired. Thanks to its strategic position, Piazza della Signoria is an excellent starting point for visits to the most important Florentine monuments. 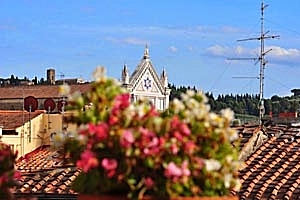 Are you looking for a convenient and budget accommodation for visiting Florence? In our website you will find a selection of apartments for rent in the historical centre (cheap apartments, luxury apartments overlooking the whole city...) among which you will certainly find the one that meets your requirements. 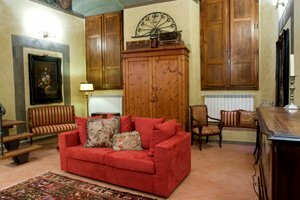 For your next holiday in Florence, rent one of the apartments near Piazza della Signoria we have selected for you.